Call 1-800-FOR-MERCEDES (1-800-367-6372) for assistance any time you’re on the road, day or night, if you have a problem related to your Mercedes-Benz. As a Mercedes-Benz customer, you’ll enjoy the peace of mind that comes from having “on-call” help available 24 hours a day. Dispatching of Mercedes-Benz technicians is a standard that has long set us apart from other luxury car makers. We’re here for you when you need it most. The Mercedes-Benz 24-Hour Roadside Assistance Program provides help when you need it most – replacing a flat tire, delivering a jump start in the event of a dead battery, or providing a few gallons of fuel should you accidentally run out. If you have an eligible Mercedes-Benz vehicle simply contact us via the Roadside Assistance 800 number or Mobile App. Or, if you have mbrace®, push the Wrench Button. 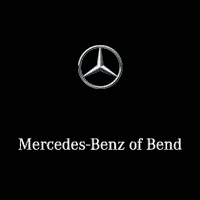 Then, Mercedes-Benz personnel will be dispatched to your location at no charge. Now there’s an even easier, more convenient way to get the service you need when you’re on the move. With the complimentary Roadside Assistance Mobile App, you can quickly contact Roadside Assistance to alert them of any issue you’re having. Plus, it’s GPS-enabled to identify your location, and has a tracker to let you know when help will arrive. To learn more about Roadside Assistance, speak to one of our knowledgeable Service Advisors or click here.